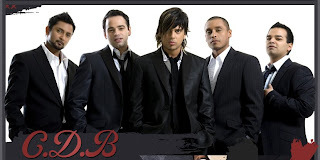 Aussie ’90s boyband CDB have just inked a brand new recording contract with Universal Music Australia. According to the band’s official MySpace page, they’ll be performing at Melbourne’s ‘The Palms At Crown’ on September 13, as well as in Sydney next Tuesday for World Youth Day celebrations. Their site also reveals they’re now managed by former Young Talent Team member, now respected Melbourne producer Vince Deltito. CDB (now a five-piece) have been hard at work in the studio working on their new album and rumour has it that fans won’t have to wait long to find it in-stores.